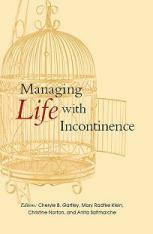 This website is managed by The Simon Foundation for Continence, PO Box 815, Wilmette, IL 60091 USA. All names and addresses provided by visitors to the Managing Life with Incontinence website for the purposes of receiving requested information from us are kept strictly confidential. Unless required by law, we will not disclose, sell or share your individual personal information with others outside our organization. If you have shared personal information with us to request information be mailed to your home, we will use address information for the requested mailings. We will retain your address for 24 months, and then discard it, or sooner if you so request, because we may wish to re-contact you with new information on continence that we believe may have value to you or to ask for your support of the Simon Foundation for Continence. If you do not share email or mailing information with us, we will not, and cannot, contact you. When you make a payment for the book, our payment processing software will collect some or all of the following information: first and last name, your billing address, physical address, credit card or other payment information. This purchase information is kept by the processor for three years to ensure proper payment and crediting of accounts.